We know this scarf is call a mobius, we know what it looks like, but what is the true definition of a mobius. Mobius strip: A mathematical object, or a physical representation of it, which is a two-dimensional sheet with only one surface. It is constructed or visualized as a rectangle, one end of which is held fixed while the opposite end is twisted through a 180 degree angle and joined to the fixed end. It is a two-dimensional object that can only exist in a three-dimensional space. Don't you like that last sentence - a two-dimensional object that can only exist in a three-dimensional space. Whoever wrote this knows nothing about yarn and crochet. We can make it however we want in any dimension. 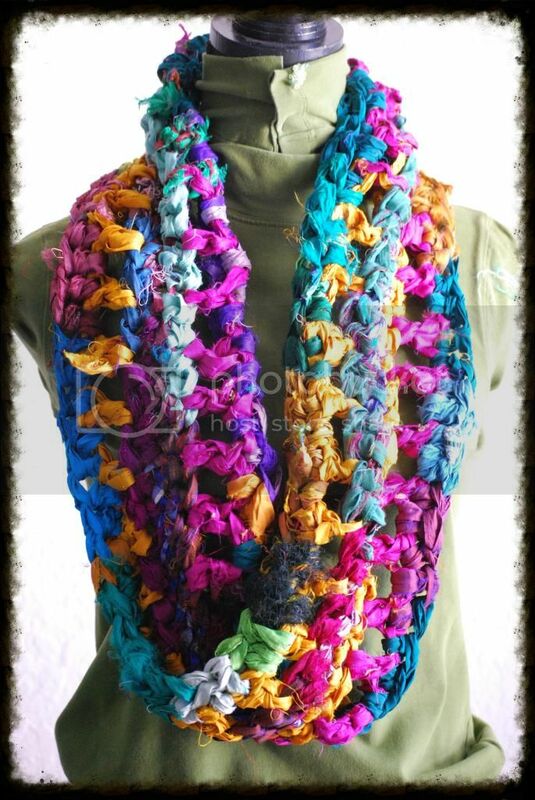 These scarf/wraps are crochet by Bluebonnet Smile of reclaimed Sari Silk yarn made by women in India and Nepal. By using this yarn, Bluebonnet Smile is helping provide income to poverty stricken women in these countries. Look at the beautiful colors we have in our shop with more to come. Head on over to Bluebonnet Smile's ETSY shop and check them out, they are ready to ship. 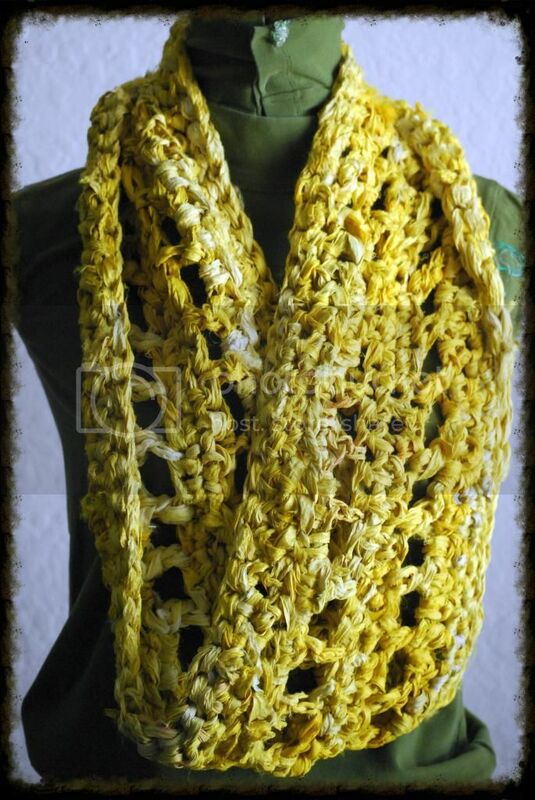 Katie, I love these scarves and I love that you are supporting the needy women in India! I Need to go look at your etsy shop. So glad you are still creating and making beautiful things!